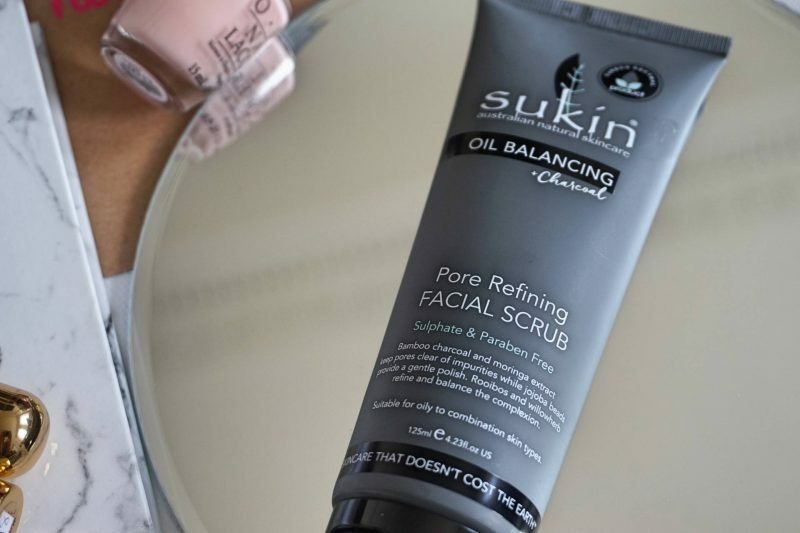 Sukin Organics is an Australian born skincare line whose mantra is “Skincare that doesn’t cost the Earth”. – I’m putting their Oil Balancing range to the test to find out if this is the case. 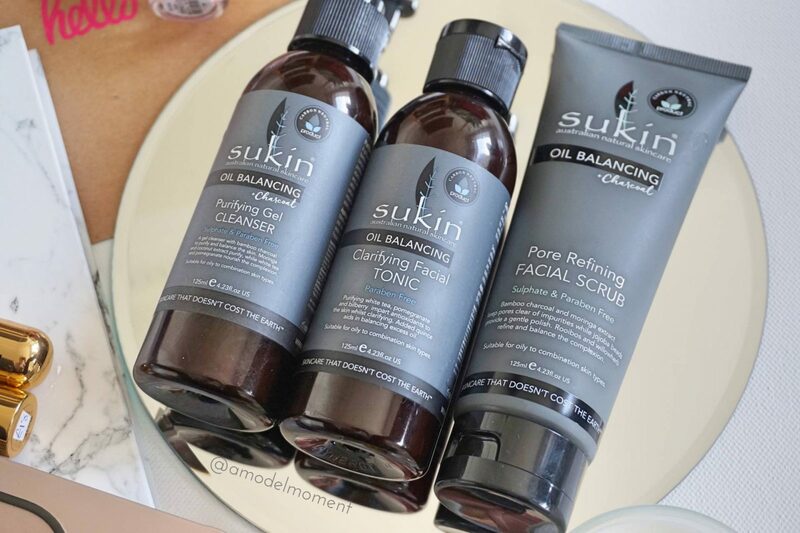 Sukin Oil Balancing products use naturally powerful ingredients to tackle oily skin issues. Their ‘free from’ list is pretty impressive for a brand that’s priced so well. 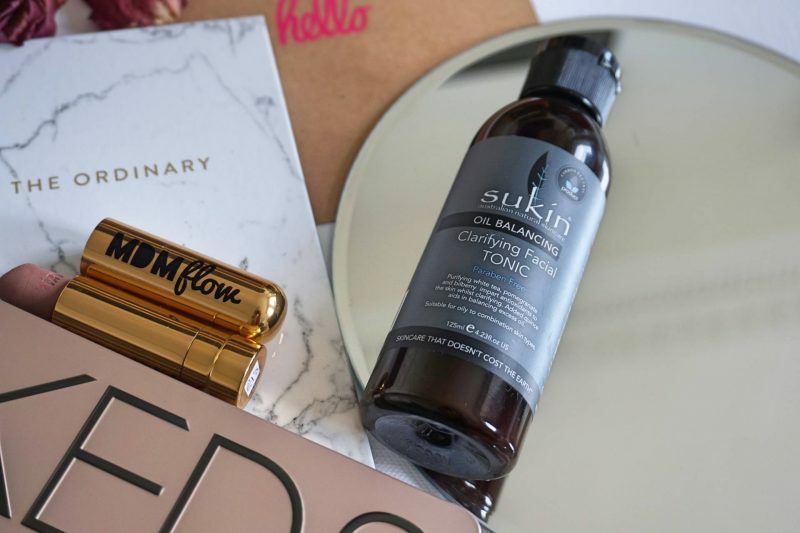 If you have been following me on Instagram you will know I battle with oily skin that causes underlying congestion, so I was very excited to see if something so well priced would do the trick! This is a great gel-based cleanser that works so well with my trusty Magnitone. I have been using it every morning in the shower with my Magnitone so my pores are open and the gel can fully penetrate my skin. 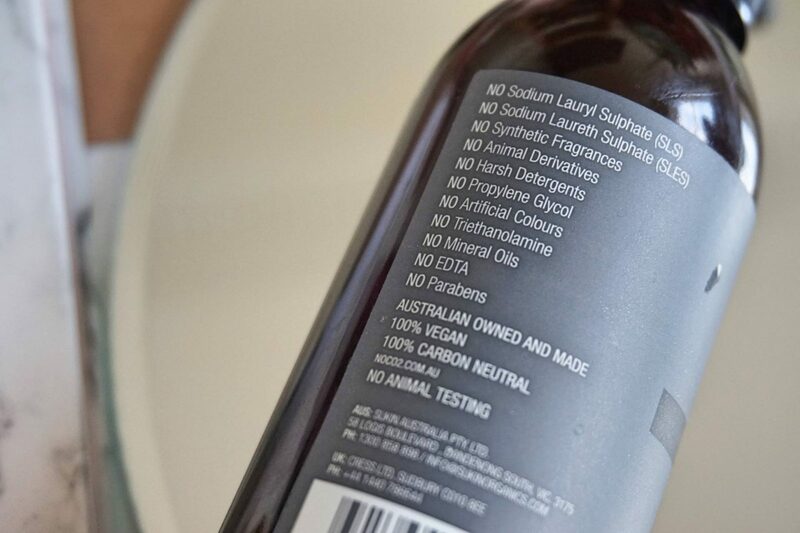 Considering it’s sulphate & paraben free it lathers very well, and feels deeply cleansing as if it is breaking down all the oil/dirt/dead skin on the surface of your skin (to learn more about what sits on the surface of your skin check out my Visia Complexion Analysis). It obviously comes out black due to the bamboo charcoal that purifies and balances the complexion, I don’t mind that at all. 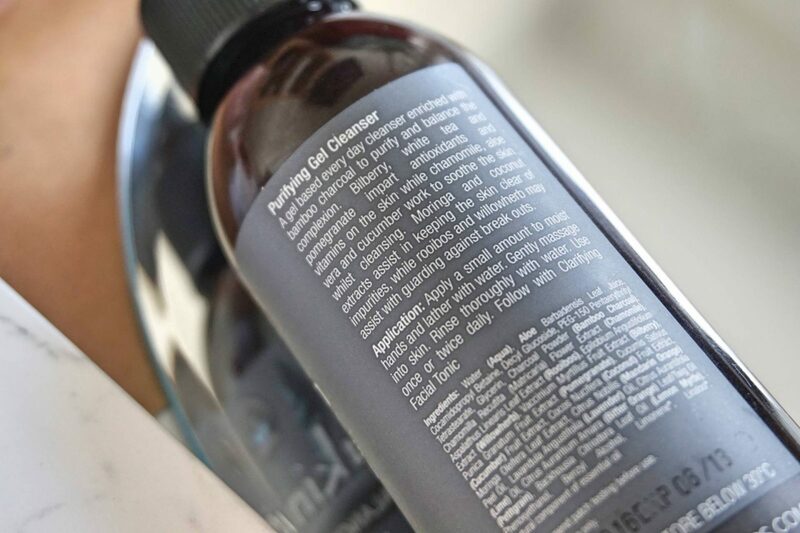 It also has other gorgeous ingredients such as Bilberry, White Tea and Pomegranate to impart antioxidants and vitamins on the skin while Chamomile, Aloe Vera and Cucumber work to soothe the skin whilst cleansing. It’s a great entry level cleanser that does exactly what it promises. This is a gentle, non-abrasive scrub, so it won’t damage the surface of your skin but you can definitely feel the active ingredients working away when you apply it. 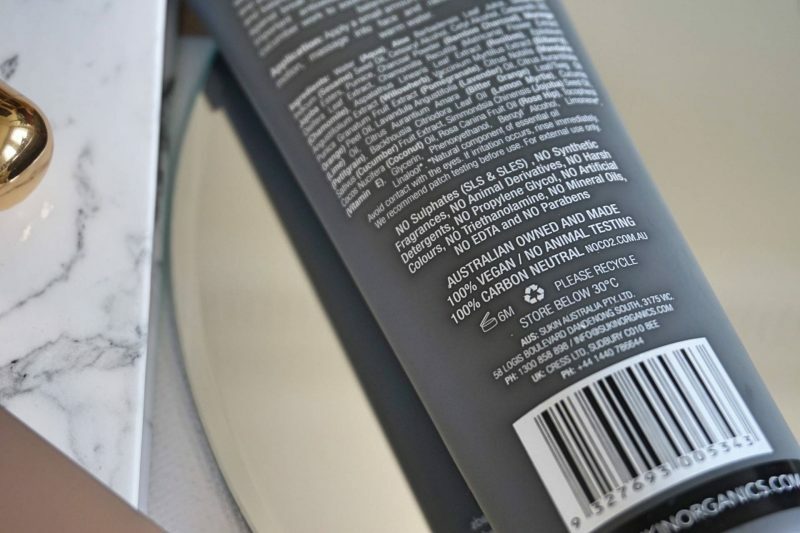 It has a very creamy, moisturising texture with a deeply refining base of jojoba beads and bamboo charcoal. 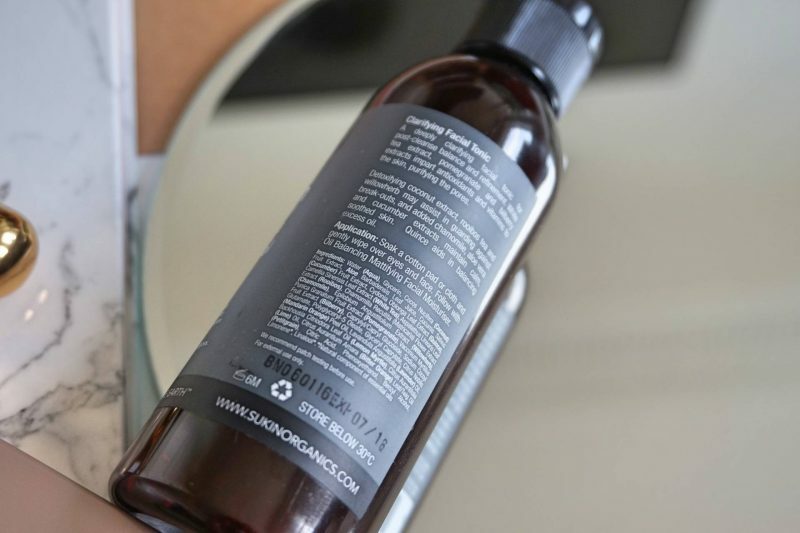 After using the cleansing gel in the shower, I apply the scrub as a mask and let it sit for a few minutes while I moisturise my body or brush my teeth, this allows the enzymes to naturally exfoliate the surface of my skin. Then I massage the jojoba beads again with damp hands. This scrub is FULL of vitamins, enzymes and antioxidants. Rooibos Tea, Willowherb and Coconut Oil purify and balance the complexion. Bilberry extract and white tea provide important antioxidants, as Aloe Vera, Chamomile and Cucumber work to soothe and calm the skin for a healthy, balanced glow. This is actually my favourite of the three products. It has no alcohol (apart the naturally occurring component from essential oils) but feels so tightening and refining when you use it. The tonic feels like it is closing and refining every pore on your face! 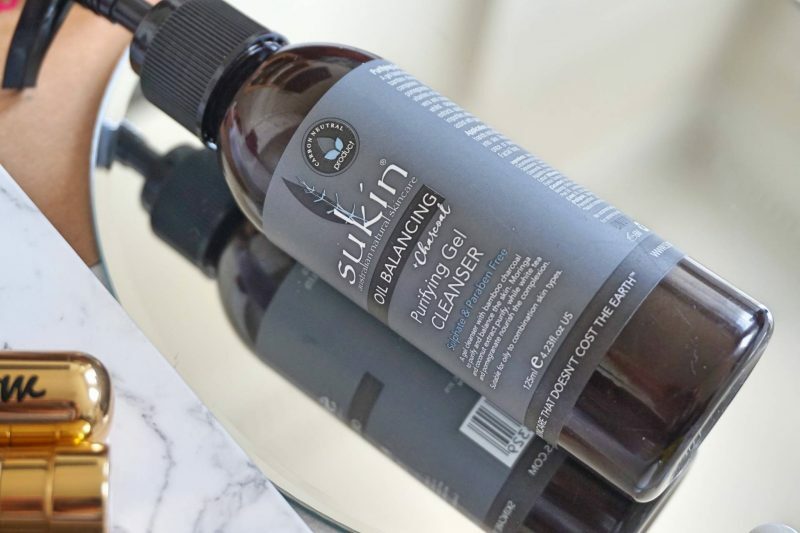 If you (like me) when you were very young used to use a certain well known alcohol based toner that instantly stripped your skin of all oils but led to you producing much more, you will love this because it feels the same with absolutely none of the harsh ingredients to cause your skin to produce more oil. A deeply clarifying facial tonic that is perfect to close your pores after a deep cleanse. White Tea extract, Pomegranate and Bilberry extracts impart antioxidants and vitamins to the skin, purifying the pores. Detoxifying coconut extract, rooibos tea and willow herb act to kill bacteria in the skin and added Chamomile, Aloe vera and Cucumber extracts maintain calm, soothed skin. Quince aids in balancing excess oil. 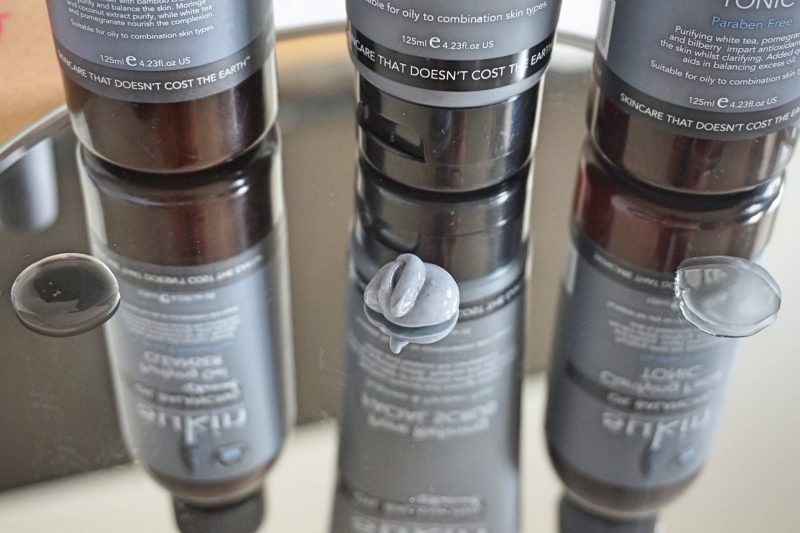 I can’t tell you how much I love using these 3 together in the morning, they all genuinely feel like they are purifying my skin and getting rid of any congestion that can cause oiliness. Because of the packaging and product colouring, this trio would also fit well in any male’s skincare routine (my partner is loving the scrub!). While trialling these I still used my Nip & Fab Glycolic Extreme Night Pads most evenings to make sure I got rid of the days grime properly.